VideoDuke is the perfect way to download video on Mac. It is fast and supports all popular video resources and can save videos in a variety of formats. The app also lets you download streaming videos to your computer. Download 2 videos in Demo version. It is really that fast and convenient! You pretty much just need to paste a link to your video and VideoDuke will take care of everything else. 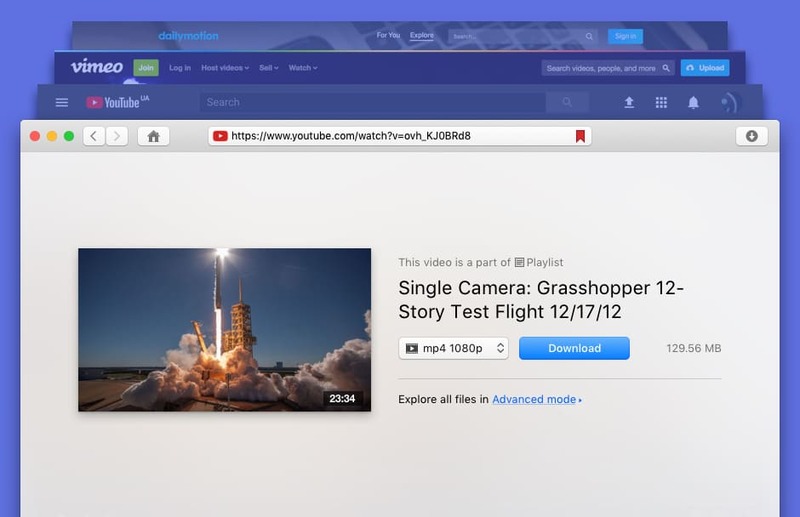 Simple mode offers you quick access to downloading from Vimeo, Dailymotion, and YouTube. You can save videos* of various types in 3GP, MP4, M4V, FLV formats with 360p, HD 720p, HD 1080p or another resolution. No need to download video by video from YouTube when you actually want to get the whole playlist or maybe even a channel. When downloading a channel or a playlist, no matter how many videos they contain, you get to choose the quality for each saved file. Resolutions you can get range from 2K, 4K, 5K, or 8K to 1440p, 1080p, 720p, 480p, 360p, 240p, or 144p. In case you only want a music file from YouTube, you can easily download it avoiding any unnecessary conversion from video to sound. VideoDuke keeps the audio track title and album art and offers saving files as WebM, MP3 or another supported format. VideoDuke is a very intuitive app, it does exactly what you expect it to do and you instantly know how to use it once you opened it. 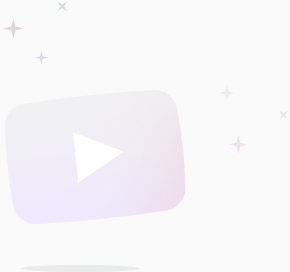 VideoDuke supports all popular video websites, including everyone's favorite YouTube, Dailymotion, and Vimeo. Find new videos to download directly in the app. Access YouTube, Vimeo, and Dailymotion from the app. 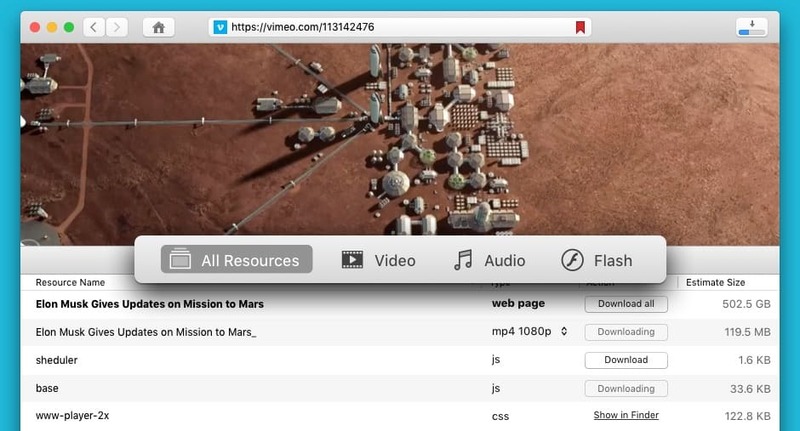 Bookmark your favorite web pages with best videos. A dedicated folder for all your video downloads. If you frequent a certain website for your downloads or want to download some video, but a little later, bookmark them in VideoDuke! Create as many bookmarks as needed and go back to them when you have time. 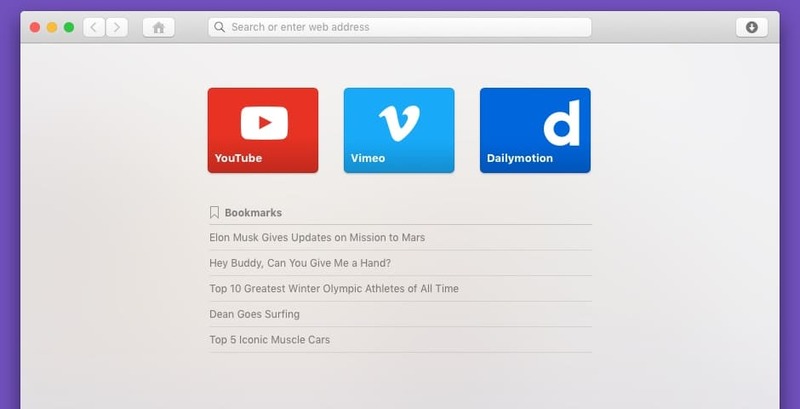 Put the VideoDuke button in your web browser's bookmark bar and use it when a great video comes along. Once you clicked the button, the app will open letting you save the video in a preferred format and resolution. When using VideoDuke's Advanced mode you are not limited to just videos, you can also see and save all resources available on the web page, including the video, the audio it is using, Flash animation used on the page, images, etc. With VideoDuke you can also save your favorite streaming video, like an athletic event, an educational video, or else. Videos embedded via HTML5 or streaming over RTMP can be easily downloaded to your computer and you can watch and re-watch them when needed. When downloading YouTube videos you get to save them with subtitles or closed captions, if they have them of course. In such cases you'll either get the subtitles on your hard drive in SRT format that is supported by multiple video players or embedded in the downloaded video. VideoDuke was created with the intent of backing up media content for personal offline use and storage. In case you are planning to make a backup of someone else's content, please, be aware: as a user, you are completely responsible for engaging in copyright infringement. How to Download Videos from 123movies on Mac?